In comparison, Nuclear – although not as harmful as coal, unless a major incident occurs – involves a long time-lag between initial investment and generating electricity or returns for investors. The Hinkley Point C nuclear power plant, for example, could cost as much as £37 billion. The lead developer, French energy giant EDF, which is part-owned by the French government and main investor CGN, a Chinese utility company, are struggling to meet the runaway costs and demands of this project. Several members of the board want it scrapped, according to media reports. 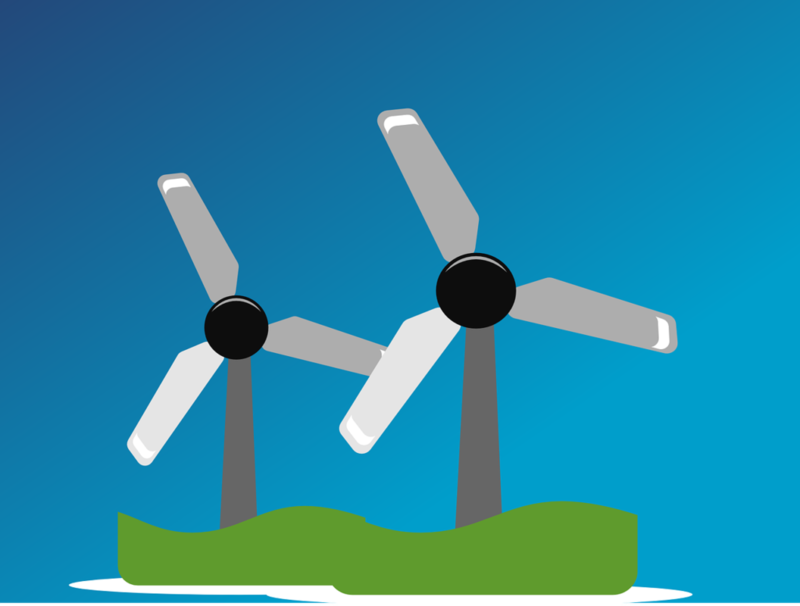 Wind, solar and wave energy setup and running costs are far more cost-effective. Safer too, since they don’t involve nuclear reactors or burning anything that releases carbon dioxide. Without an active renewable sector, the UK could not have signed the historic Paris climate deal, at the COP 21: UN Climate Change conference in December 2015. Solar panels are fairly accessible, often found on homes and offices around the UK. Tidal energy is relatively new to the country, with the European Marine Energy Centre off the coast of Orkney being the most notable provider. It doesn’t contribute a huge amount of energy to the National Grid at present, but we’re looking forward to seeing it develop over the next couple of years. On the other hand, undertaking an offshore wind energy project involves the setup, management and maintenance of valuable assets such as the wind turbines themselves – many of which are placed in some of the world’s harshest environments. This is big business. Wind turbines are designed to function in high seas, in wind and salt air, but things can still go wrong. Parts fail. Regular maintenance and inspections are required to ensure these sea-based power generators remain operational and efficient. No Wi-Fi connection is a common problem for Rope Access Technicians inspecting offshore wind turbines. Downtime reduces energy outputs, putting more strain on the National Grid; thereby, reducing revenue for renewable companies and increasing expenses for the insurance and finance firms behind them. Turbine capital optimisation has become more commonplace since 2011, which puts more pressure on energy firms to maintain a high percentage of uptime. Efficiency is everything. Offshore wind farms require more inspections and repairs than onshore. These are harder to access, usually involving boats, helicopters, rope access professionals and equipment. A robust asset management system such as Papertrail, complete with RFID tags on essential parts – and those liable to break in harsh weather conditions – will alert you to system failures, when assets are experiencing downtime, and when crucial inspections are due. Ultimately, this can lead to in-depth analysis of when and why wind turbine downtime occurs over a longer period – meaning much more powerful planning and decision-making at the corporate level. Making use of a system such as Papertrail will also give you a transparent approach to compliance. Instead of compliance and inspection records on paper files, you will have everything stored securely in the cloud, accessible to team members, administrators, contractors and other stakeholders. Managers can spend less time worrying about whether assets are operational, or inspections complete, with everything available at a glance. 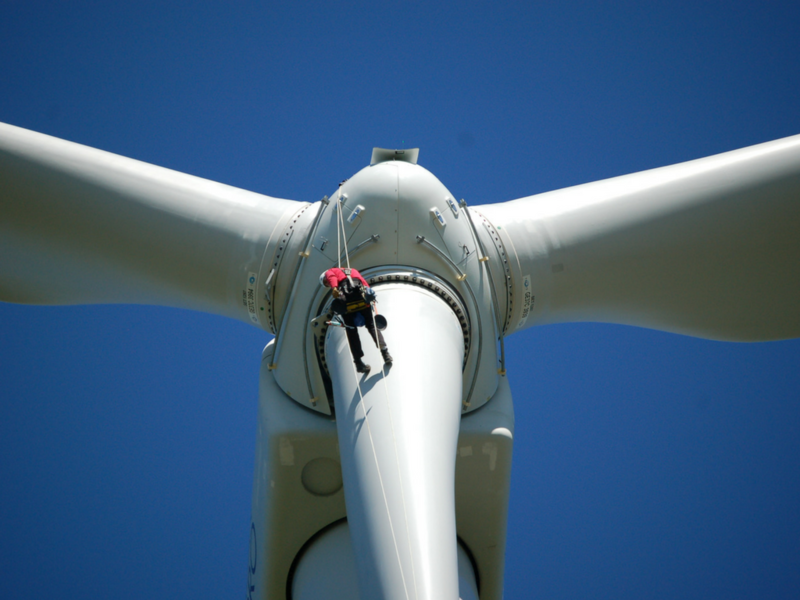 Rope access and inspection professionals can update inspection details on turbines and other assets using their smartphone or tablet devices: Papertrail’s apps for Android and iOS don’t require Wi-Fi access to function – a crucial feature for many of our clients in rope access, telecoms and renewable energy. When wind turbines go down, it can cost hundreds of thousands of pounds per day in lost revenue and maintenance costs. Save yourself this stress. Ensure your company reaps the benefits from an energy source that we can’t deplete and doesn’t harm the planet or cost the earth to produce. Renewable energy is the future. We’re here to support it. Papertrail supports mission critical energy uptime through asset optimisation. Get in touch today to enquire about our suite of services, tailored for renewable energy.